"Even if I lived a hundred lives, I still wouldn't be exhausted." These words capture the intensity of the experiences of Claude Lanzmann, a man whose acts have always been a negation of resignation: a member of the French Resistance at sixteen, a friend to Jean-Paul Sartre and a lover to Simone de Beauvoir, and the director of movies including one of the most important films in the history of cinema, Shoah. The Patagonian Hare, a number-one bestseller in France, has been translated into Spanish, German, Italian, Hebrew, Polish, Dutch, and Portuguese. 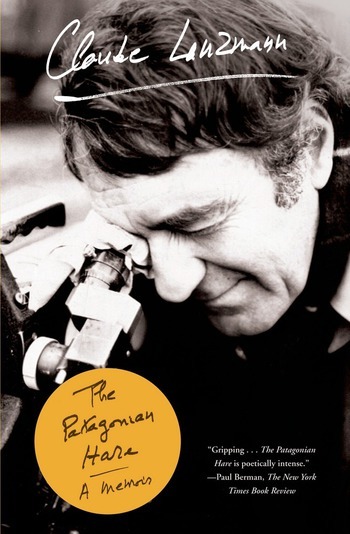 Filmmaker Claude Lanzmann's brilliant memoir has been widely acclaimed as a masterpiece, was hailed as "a true literary and historic event" in the pages of Le Monde, and was awarded the prestigious Welt-Literaturpreis in Germany. Claude Lanzmann is a French writer and the director of a number of films, including the nine-and-a-half-hour classic Shoah (1985), which was described by The Washington Post as "the film event of the century" and is regarded internationally as a historical and cinematic breakthrough. Lanzmann is chief editor of Les Temps Modernes, which was founded by Jean-Paul Sartre and Simone de Beauvoir.